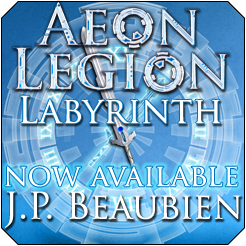 Labyrinth is the first novel in the Aeon Legion series and my debut book. This is not my first attempt at a book. My hard drive is a vast graveyard of chapter ones. However, it did not take long for me to realize that this one would be different. Back in 2012 I was working at a machine shop. While I was waiting for my machine to finish its run cycle, I was brainstorming ideas for various world building projects as usual when instead of a setting, a character crystallized in my mind. This young woman was stubborn, determined, and refused to fit in any other project but one made just for her. That young woman became Terra Mason and she demanded her own hero’s journey. Now I needed a worthy adversary. I joked that I should avoid obvious cliches like time traveling Nazis and such. Then that sparked an idea. What would those Nazis think if they could see the future? What would they do if they saw just how poisonous their legacy would be? My second character, Hanns Speer, crystallized in my mind. He was just as determined as Terra, if very misguided. With my protagonist and antagonist concepts established I began scrounging up ideas for an interesting setting. Thankfully my nearly endless obsession for world-building provided a secret world of time travel. Everything was in place. There was just one problem. I had to learn how to write. That took years. Then I had to learn how to edit. That took nearly as long. 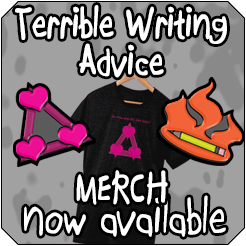 Despite the difficultly along the way, I learned one very important thing about storytelling, the most important thing is for the reader to care about the characters. This is why this story made it to the page. Because Terra Mason and Hanns Speer made me care about them. Outside of our perception exists the Edge of Time, a place where all time blends together. Building a time machine to access the Edge of Time is actually not that complicated. Yet as time travel became common place, the side effects of changing history soon threatened to erase all of humanity. Faced with the end of history, Saturn City, the most powerful civilization to master time travel, founded the Aeon Legion. The Aeon Legion is a force like no other. Possessing unrivaled singularity technology, the Aeon Legion polices time travel and strives to prevent the alteration of history. To protect time, the Aeon Legion keeps time travel a secret, erasing the memories of most who discover it while swearing the rest to secrecy. Although armed with an aeon edge, a sword that accelerates time to cut through anything, and a shieldwatch, a device that can control time itself, the brave men and women of the Aeon Legion are beset on all sides from threats no normal force could match. Between forgotten primordial beasts, ambitious time traveling conquerors, monsters who have perfected evolution, and history’s greatest war criminals, the Edge of Time remains a dangerous place. The Aeon Legion seeks the greatest soldiers and warriors from the most bloody, war-torn eras in history. Those they deem worthy gain a chance to compete in the toughest training program ever designed at the Aveum Academy. The harsh physical and academic requirements of the Aveum Academy ensure that only the best humanity has to offer stand any chance of completing the training. Yet even that is not enough. The Legion needs more than just soldiers. The Aeon Legion needs heroes. Terra Mason, a plain eighteen-year-old girl from the modern United States, has an impressive stubborn streak. Her persistence and bravery during a time travel incident gains the notice of one of the Aeon Legion’s greatest heroines, Alya Silverwind. Alya offers Terra a chance only a select few ever get, sponsorship in the Aveum Academy’s training program. Now Terra must turn that stubbornness into determination if she is to contend with history’s finest soldiers and somehow pass the Academy’s final test, the mysterious Labyrinth. She will not quit. Terra will prove that even someone as average as her can still be a heroine. Hanns Speer is polite, good-natured, charming, a genius inventor of a time travel machine, and a dedicated member of the Nazi Party. Yet he cannot understand why people from the future regard him and his fellow Nazis as monsters. Now he must use his charisma and cunning to outwit the seemingly invincible Aeon Legion and shatter its monopoly on time travel. Hanns will face them even if he has to break into the Legion’s Archives at the Aveum Academy. He will not quit. Hanns will steal history itself, mistakenly believing it will prove him to be a hero.